UST Black Gear Snake Cord - Steel Wire, Flexible Rubber Coating, Twist Ends, Rust-Resistant, Glows In Dark, Easy-To-Cut - 16 1/2’ | BUDK.com - Knives & Swords At The Lowest Prices! 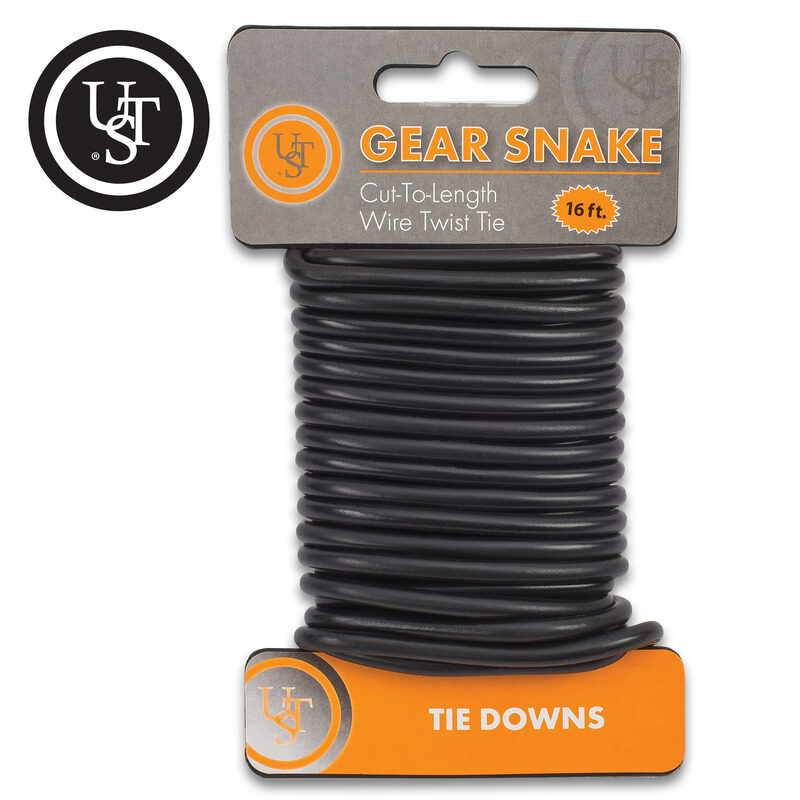 UST’s Black Gear Snake Cord is a must-have for your home, work, outdoor recreation gear, vehicle and bug-out bag. The bendable steel wire cord with its flexible foam rubber coating easily attaches gear or equipment together without knots to tie or hooks to slip. 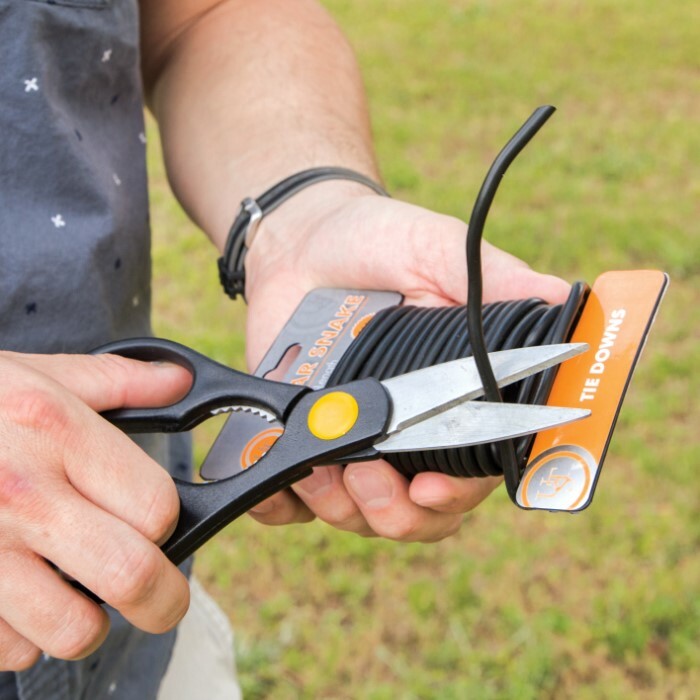 Ideal for tie downs, the strong, durable twist-tie material can easily be cut to length, as needed, with scissors or a knife. Perfect for camping, backpacking, hunting, and more, the Gear Snake Cord won’t rust, slip, or stretch.